Some of the family has, for health reasons, decided to go gluten free. After a quick glance around the internet… Geeze! What a pain! 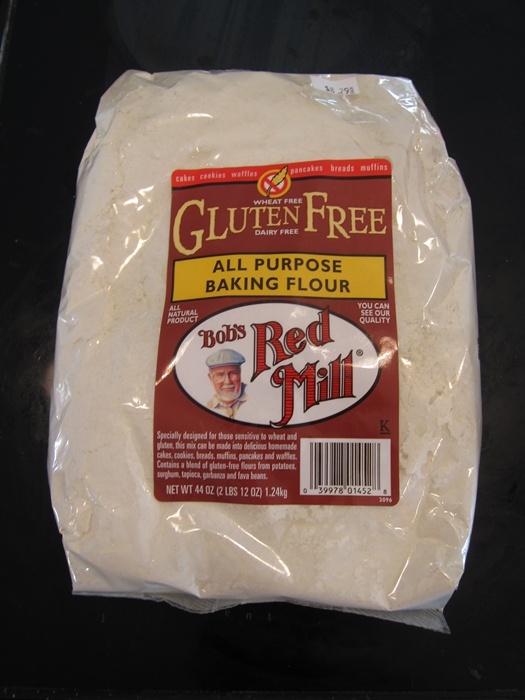 So many gluten free recipes have 4 different wheat-free flours, plus xantham gum, coconut oil, and maybe some agave nectar. Oy! 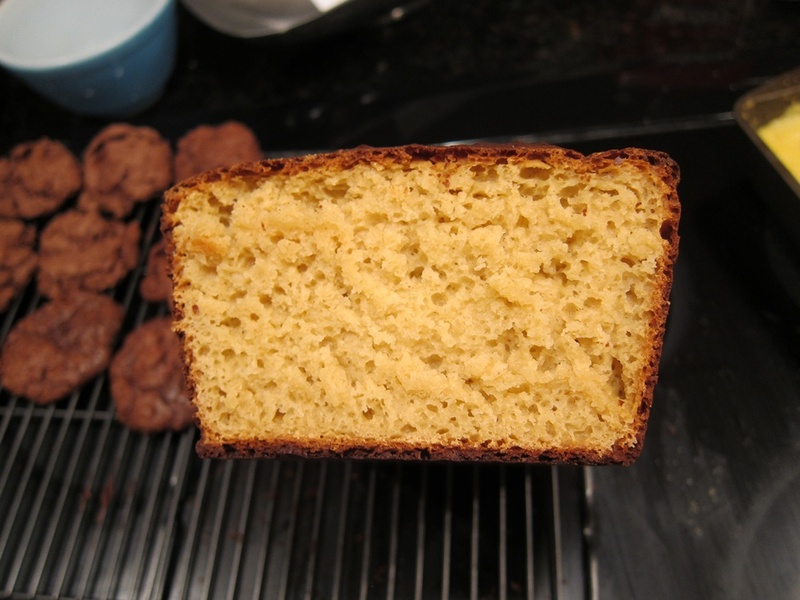 For a first attempt, though, I found a bread recipe that uses just a general all-purpose gluten free flour mix, and otherwise ‘normal’ ingredients to ease in with. In fact, this is even easier than many of the breads I normally make, as there’s no kneading required! 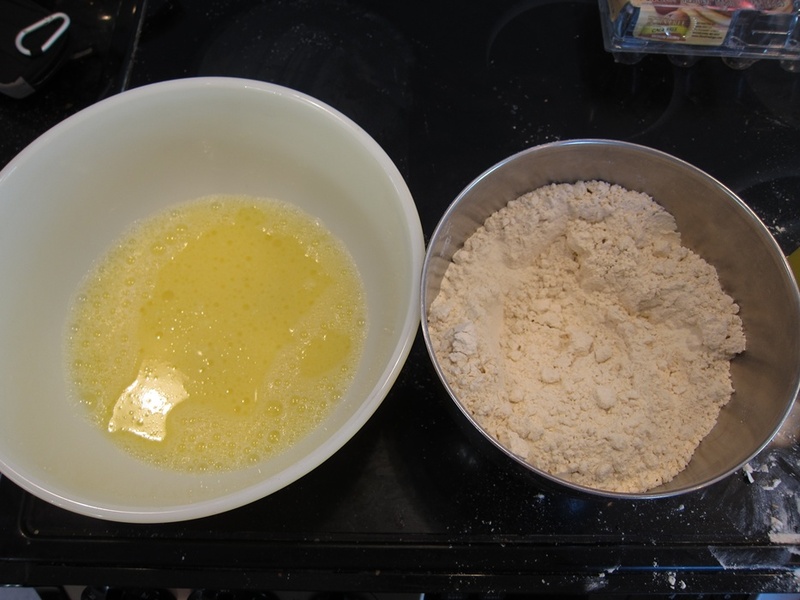 Stir together all the dry goods in a medium bowl and whisk together the liquids in a large bowl. Slowly add the dry goods to the liquids, stirring very well, until no little pockets of flour are left hiding in the mixture. It’ll be about the consistency of cake batter. Pour into a large, lightly greased bowl and let rise somewhere warm until doubled, 1-1 1/2 hours. 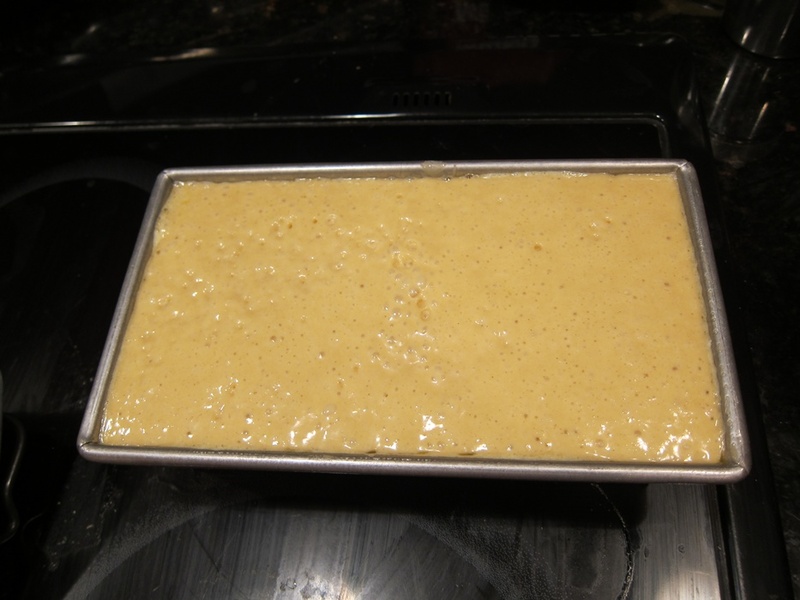 Stir gently to deflate, then transfer to a greased bread pan and let rise again until doubled, another 1-1 1/2 hours. 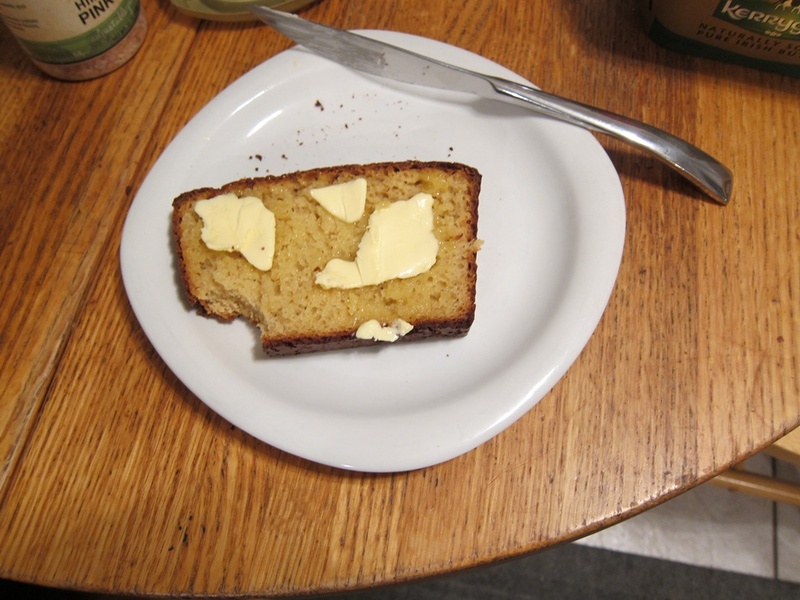 When it can’t rise any more without pouring over the sides is ‘doubled’ enough! During the second rise, preheat the oven to 375 degrees. Bake for 35 minutes and remove from the oven. Cover with foil, then return to the oven for a further 20 minutes. Surprisingly good, all things considered! I’d happily eat it again. And in the meantime, I’ll be submitting it to YeastSpotting. 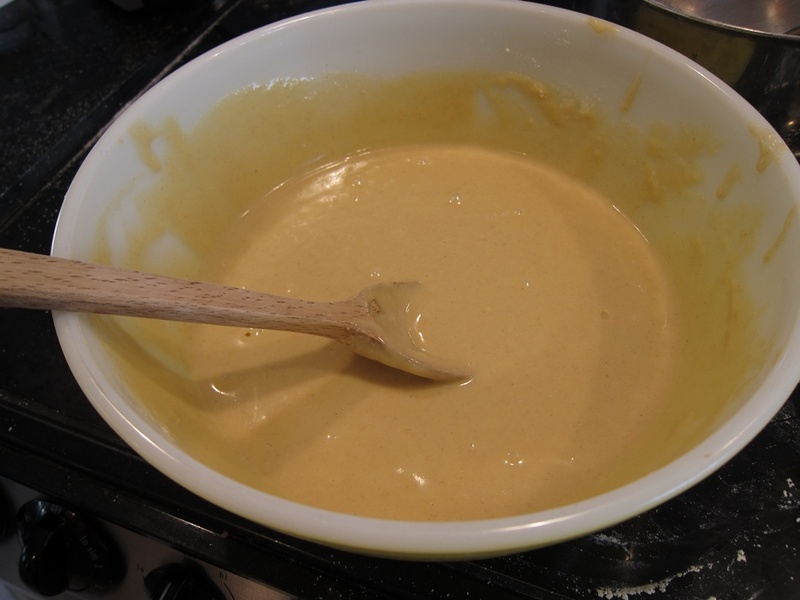 Stir together all the dry goods in a medium bowl and whisk together the liquids in a large bowl. Slowly add the dry goods to the liquids, stirring very well, until completely mixed. Pour into a large, lightly greased bowl and let rise somewhere warm until doubled, 1-1 1/2 hours. During the second rise, preheat the oven to 375 degrees. 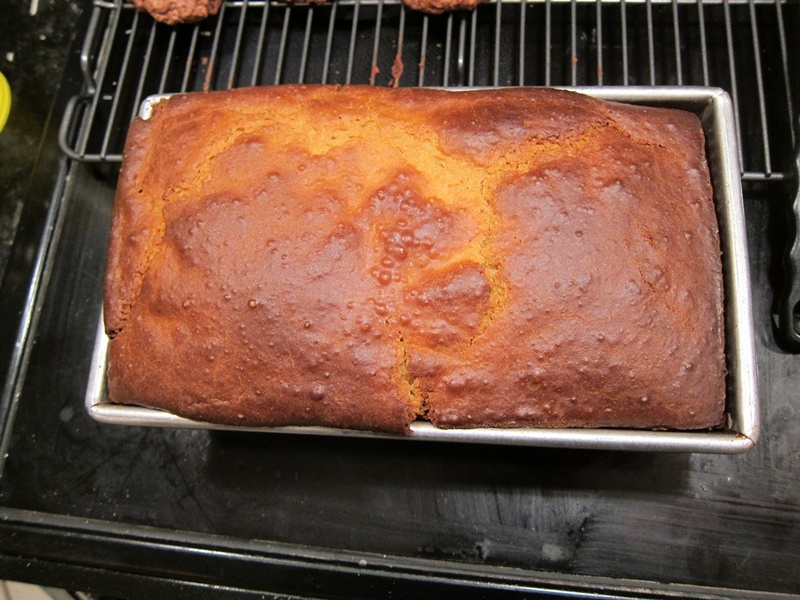 Bake for 35 minutes and remove from the oven. Cover with foil, then return to the oven for a further 20 minutes. 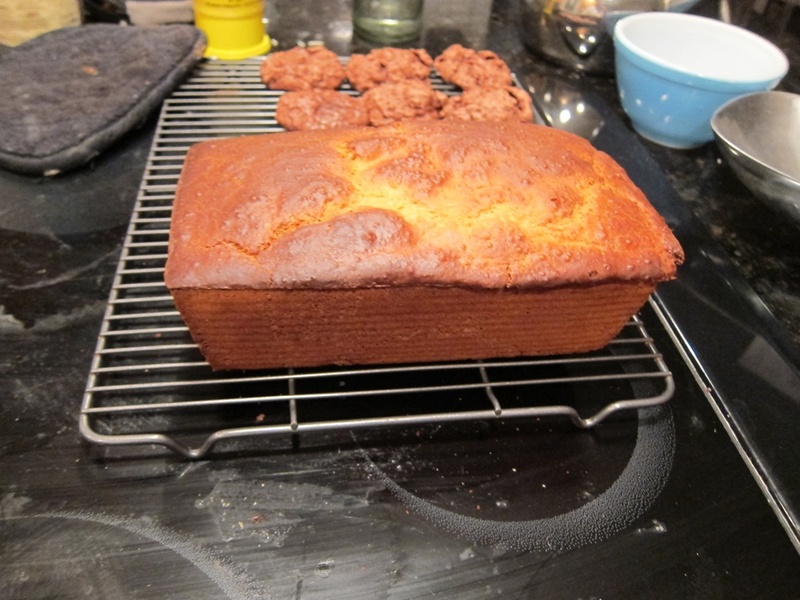 Remove the bread from the pan and cool on a wire rack. 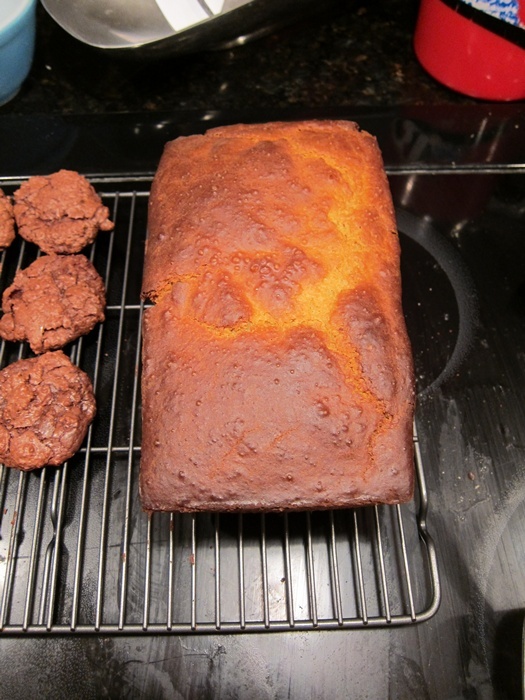 This entry was posted in Bread and tagged Bread, gluten free bread, gluten free recipe, white bread. Bookmark the permalink. 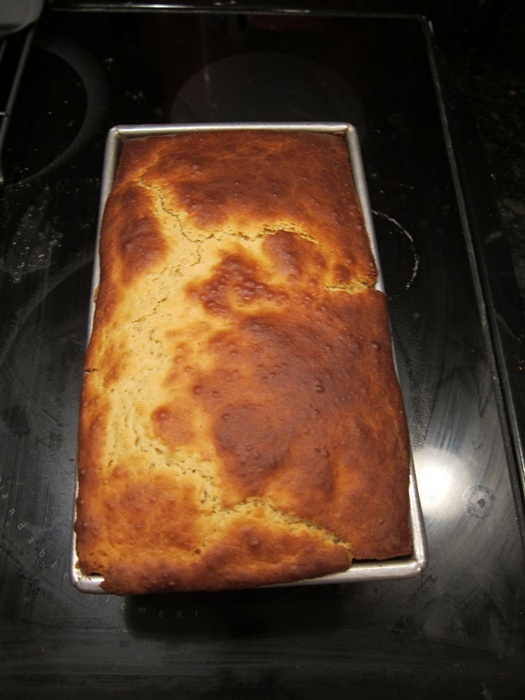 Another perk that comes with this delicious gluten-free bread – it’s economical.This recipe makes a 1 pound, 10 ounce loaf – over twice the weight of some commercial frozen gluten-free breads.